New York: The Big City. Buy at Amazon. There is no city in the world that embodies man's loftiest aspirations and most base desires like New York. This perceptive graphic novel examines multi-faceted metropolitan life, and all the flavor, color, and commotion that go with it. Chapters include "Walls," "Sentinels," "Street Music," and five more tales. 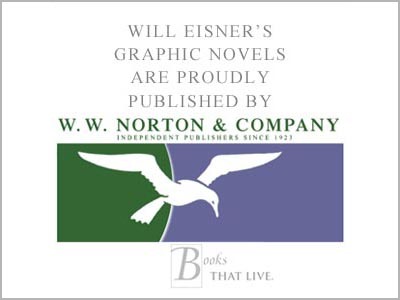 First published in 1986 by Kitchen Sink Press, the book was reissued in 2000 as part of The Will Eisner Library imprint by DC Comics. 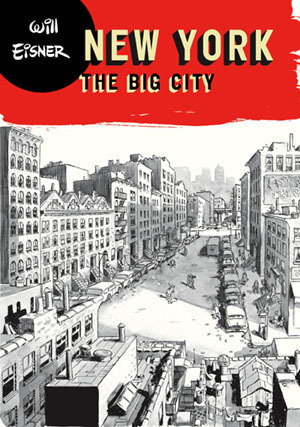 The book forms part of the 2006 hardcover collection Will Eisner's New York: Life in the Big City published by W.W. Norton, together with its sequel City People Notebook, The Building, and Invisible People.